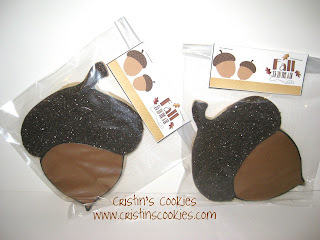 It's time for another COOKIE CHALLENGE! 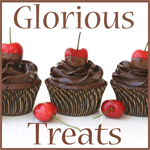 Okay, so all you stalkers readers that just read this blog (thank you! ), now is your chance to PLAY ALONG! Your mission, if you choose to accept it, is to bake Fall cookies. What a great mission huh! 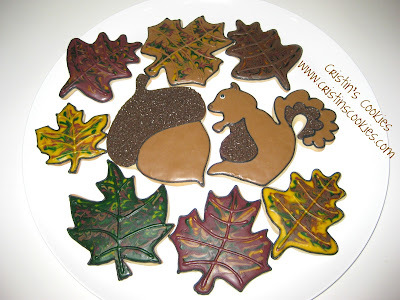 You can make leaves, acorns, squirrels, pies, apples, whatever your heart leads you to bake in the Fall theme. 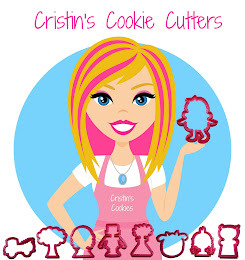 You have a full week to participate and juggle your other less fun activities ;-) Load your cookie photo to your Facebook page and tag me at Cristin's Cookies Facebook page. Just type the @ sign before my name Cristin's Cookies and it will post your picture on my wall. If you aren't on Facebook (! ), then email me your photo and I'll upload it to my site for you. Next Friday, November 11th, I will post your photos with your name (and cookie page if you supply it) to my blog for all to see and enjoy. It's fun to bake together across the world, don't you think! I can't wait to see what everyone comes up with! So here's my first pass at some Fall cookies to get you going. I loved the leaves. My type A personality has a hard time doing "messy" so I thought moving the different colors around on the leaf was going to make my brain go into overload, but I ended up being very happy with them and glad that I got out of my own way to be able to make them. These were the Fall colors I used. Gold, Forest Green, two shades of Brown and Burgundy. I love the Burgundy. It has lots of pink in it. 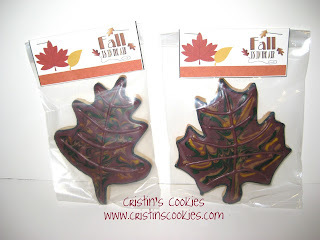 I would actually call it a Wine color instead, but it was really fun to work with for Fall cookies. 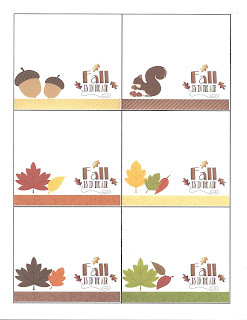 And how about a free printable for the cookies you are going to make?! 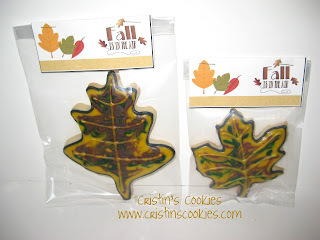 You can put your cookies in a baggy and fold this over the top, staple it closed and you have cute little Fall cookie tags. 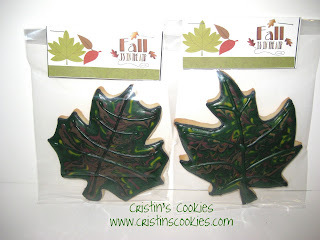 Hoping to get some fall cookies in for your challenge, but if not, I can't wait to see what others come up with! 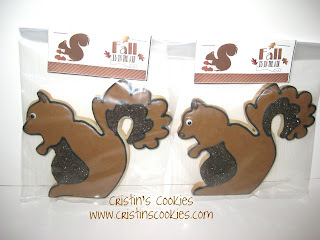 I love seeing all the creativity with everyone's cookies! 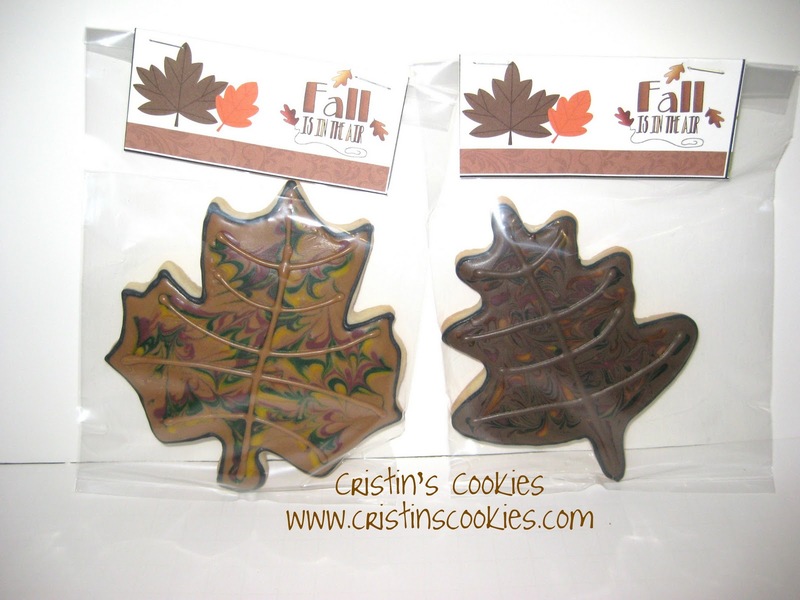 Thanks for such fun challenges, Cristin! @Kara I love it when you're able to play along Kara. I hope it works for you. I know you've been busy. I've been watching all your cookies posted lately. I hope you can join us! Cookies For Our Rival - Saint Francis!